Since it first aired in 2011, The Bridge has become an international phenomenon. Originally (bron ||| broen), a Danish/Swedish co-production, it opened with an intriguing premise: a dead body is found directly in the center of a bridge connecting Denmark and Sweden. Upon further investigation, the corpse consists of parts of two different bodies, each cut in half. Two very different detectives, one Danish, one Swedish, band together to investigate, but the initial mystery deepens as a serial killer with a bizarre agenda starts striking again and again. The show was a critical and popular hit, and soon an American version set between the United States and Mexico followed, then another version between the U.K. and France appeared, and a Russian/Estonian version (as yet unseen by me) entered the franchise, too. The American/Mexican version was cancelled too soon, after just two seasons, but the other series are still in progress. Recently, the third season of the Danish/Swedish original was released on DVD, with a fourth and final season in production. Comparably, the second season of the U.K./French version (The Tunnel, so named because the initial crime takes place in the Chunnel) just came out on DVD, with a third and final season planned. The first seasons of the American/Mexican and U.K./French versions followed the Danish/Swedish series fairly closely, though the second seasons of both went in radically different directions. Though the Danish/Swedish, American/Mexican, and U.K./French versions all started at roughly the same point, they all diverged thematically and in terms of character development as well. The Danish/Swedish and American/Mexican versions have achieved excellence, albeit in strikingly different ways. Unfortunately, the U.K./French version, though blessed with a talented cast, ultimately can’t manage to do justice to the material. The heart and soul of the Danish/Swedish version has always been Sofia Helin as Saga Norén, a Swedish police officer who’s brilliant at her job but who is socially awkward, due to undiagnosed Asperger’s Syndrome. Saga finds it hard to understand why other people behave as they do, though she gradually strengthens her social skills over the course of the series. Helin’s inspired performance is a joy to watch, and in the third season of The Bridge, where a serial killer starts targeting victims such as the lesbian founder of a gender-neutral preschool, at first Saga’s character covers ground we’ve already seen before. As the series progresses, however, Helin begins to turn in her finest work yet as Saga is dragged into darker, bleaker, and lonelier emotional depths than she’s ever faced before, wrestling with the fallout of her own dysfunctional family. The first two seasons of the Danish/Swedish The Bridge are absolutely required viewing before seeing the third. Plotwise, the second and third seasons are solid, though nothing quite matches the heights of season one. Character-wise and tonally, the third season still packs a massive punch, as an investigation that initially seems to be based around social issues turns out to be predicated in the after-effects of a broken heart. The U.S./Mexican adaptation is a great example of how to make an Americanization of another country’s series work. It provided its own great cast, enhanced the character development of some supporting characters, and skillfully transplanted the setting, adding commentary on American/Mexican relations that never became preachy, and which actually cleverly critiqued and subverted many frequent talking points on politics, crime, and international relations. The U.K./French The Tunnel, in contrast, takes quality material and squanders the potential. The first season was pretty decent, thanks to its superb cast, but the second season devolves into a disappointing thematic and moral mess. While Saga (and Diane Kruger’s Sonya in the U.S. version) were always the soul of their respective series, in The Tunnel, Stephen Dillane as Karl Roebuck, the male half of the investigating team, makes by far the bigger impact, due to his understated charisma and some poor writing decisions in developing his female co-lead. Dillane’s an absolute delight in the role. Absolutely no fault whatsoever should be ascribed to Clémence Poésy, who’s very good as Elise Wassermann, but in the special features to the first season, the creative team said that they were trying to move away from ascribing Elise’s personality quirks to the autism spectrum. This is a fatal mistake. The Aspergerian Saga and Sonya’s social clumsiness, frequent faux pas, and constant confusion at their co-workers’ perceived shortcomings, are inherent to their characters. Meanwhile, if the writers aren’t giving Elise a form of autism, they’re stressing her reserved and brusque demeanor as emotional repression. When Saga is a guest to dinner at someone’s home and says that the food isn’t tasty, that’s because she never dreams that her comment might hurt her hostess’s feelings. When Elise says the food is bland and needs Tabasco, it’s just rude. Not only that, but Elise is blander than her sister characters in other ways. For example, Elise’s wardrobe is less striking than Saga’s and Sonya’s, who used leather clothing to distinguish themselves as different and distinctive characters. Saga wears the same flowing coat, sweater, and leather pants every day, and Sonya’s distinctive leather jacket, covered in artwork and idiosyncrasies—and which was only revealed to the viewer a little at a time—was a character in itself. But Elise looks more or less like everybody else. Saga and Sonya can learn how to connect with other people better, but their unique and wonderful minds will never be neurotypical. In contrast, Elise seems to be set up as an ice queen, and while the character arcs of Saga and Sonya can have them understand humanity better while remaining wholly themselves, the emotional arc of an ice queen is usually to melt, and it’s the second season and its treatment of Elise’s romantic relationship that leave a sour taste to the whole proceedings. Without too many spoilers (though by necessity some follow), Season Two of The Tunnel starts with a mysterious plane crash that may be terrorism. This makes for a great scene for Dillane, as he gives a powerful performance mourning the loss of innocent lives. Late in the series, one character turns out to be complicit in the crime, and arrogantly and self-righteously announces that the “less hypocritical” side was chosen. Yet The Tunnel wants to make Elise’s relationship with this person a beautiful thing when, in fact, the character in question is a cold-blooded killer, and even though there’s a quick and partial act of redemption, it’s not nearly enough by a long shot. What’s worse is that Roebuck dismisses Elise’s uncertainty as being “in love,” when the person in question is actually a cold-blooded killer. All his righteous indignation from several episodes earlier evaporates in a puff of misguided sentimentality. It’s a horribly handled series of scenes, which undercuts the tragedy of numerous innocent lives lost, and it cheapens and tarnishes the characters of both Elise and Karl. The Danish/Swedish and American/French versions of The Bridge succeed in part because the heroine always keeps her moral compass. There’s a powerful scene at the end of the third season where Saga wavers, but eventually makes the right decision. However, the realization that she came close to not doing the right thing shakes her, and it gives The Bridge a weight and depth that a show with a broken conscience like The Tunnel cannot hope to achieve. The Tunnel has always been marred by its clumsy politics as well. 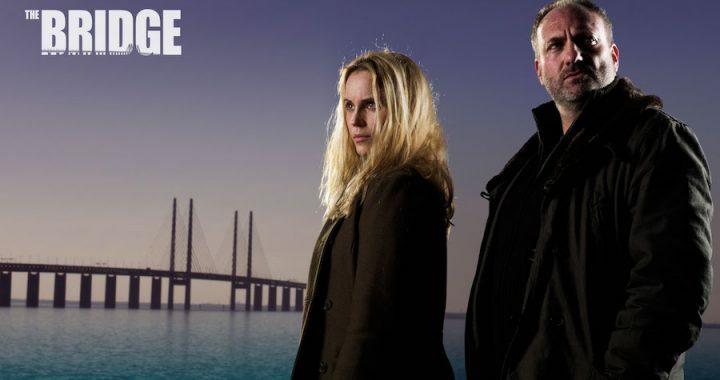 Both versions of The Bridge address political issues, but the Danish/Swedish series skillfully avoids preachiness and always shows that violence in the name of activism is wrong. In contrast, The Tunnel, through the comments of some characters and some clumsy diatribes and ham-fisted sequences, editorializes at the expense of narrative, and at times seems to romanticize—or at least show a slightly hidden respect—for those who use bloodshed to point out social ills. Visually, The Tunnel lacks the punch of its peers, too. The Tunnel looks like a hundred other British shows, but the Danish/Swedish The Bridge’s cinematography is notable for its clear, cold starkness, and the American/Mexican The Bridge makes the hot desert environment a palpable force. The Tunnel had a lot of potential, but without cleverer and more ethically perceptive writers, it remains a disappointment and a waste of fine actors. Comparatively, both the Danish/Swedish and the American/Mexican versions of The Bridge are outstanding television because they never lose track of their heads, hearts, and characters. Read more from author Chris Chan at The Strand Magazine.